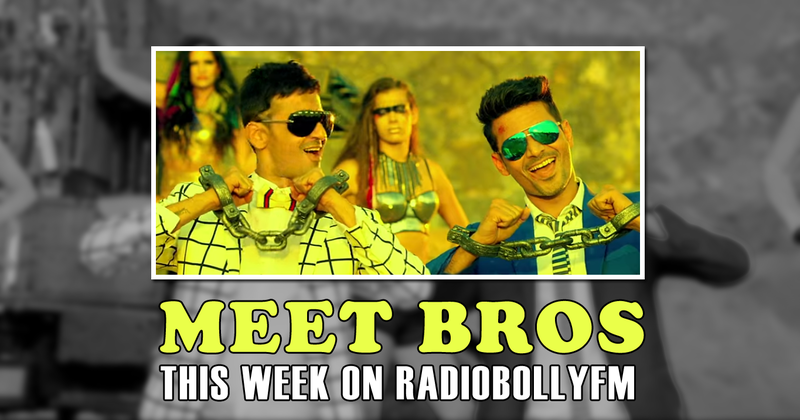 Don't miss the episode this week, Catch Meet Brothers exclusively on www.radiobollyfm.in with our RJ Swapnil. Right from their name to their music — Manmeet and Harmeet Singh aka Meet Bros seem to debunk every musical rule in the Bollywood book. Nobody would guess that men behind the jugalbandi Jogi Singh Barnala that propelled them into the limelight, to the dance anthem 'Baby Doll' and now, 'High Heels', are self-taught musicians. Hailing from a business family, they smirk that it was not the legendary Kishore Kumar and Lata Mangeshkar, but a bad singer that inspired them to make a career in music. In a no-holds-barred interview with the musician brothers, they talk of superhits, splits and making music in the age of fast food.